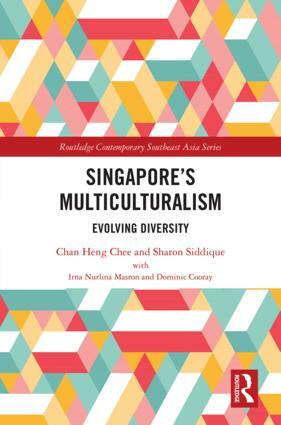 Since independence in 1965, Singapore has developed its own unique approach to managing the diversity of Race, Religion, Culture, Language, Nationality, and Age among its citizens. This approach is a consequence of many factors, including its very distinct ethnic makeup compared with its neighbours, its ambitions as a globally oriented city-state, and its small physical size. Each of these factors and many others have presented Singapore society with a range of challenges and opportunities, and will in all likelihood continue to do so for the foreseeable future. In the writing of this book, the author team set themselves the task of projecting the impact of current domestic and international social trends into the future, to anticipate what Singapore society might look like by around 2040. In doing so, they analyse the particular path that Singapore has taken since independence, in comparison with other multicultural societies and with regard to the balance between the necessity of forging a new national identity after British rule and departure from Malaysia, and the need to ensure that Singapore’s ethnic minority populations remain socially enfranchised. They further consider how current trends may develop over the next couple of decades, what new challenges this may present to Singapore society, and what might be the likely responses to such challenges. In this book, Singapore is a case study of a global city facing the challenges of developed-world modernity in frequently acute ways. Chan Heng Chee chairs the Lee Kuan Yew Centre for Innovative Cities (LKYCIC) at the Singapore University of Technology and Design (SUTD). She is also Ambassador-at-Large with the Ministry of Foreign Affairs, Chairman of the National Arts Council, a Member of the Presidential Council for Minority Rights, a Member of the Constitutional Commission 2016, and Deputy Chairman of the Social Science Research Council. Professor Chan is a Member of the Board of Trustees of the National University of Singapore and a Member of the Yale-NUS Governing Board. Professor Chan is a political scientist and has published numerous articles in journals and newspapers. Among her seminal works on Singapore politics are A Sensation of Independence: A Political Biography of David Marshall (1984), The Dynamics of One Party Dominance: the PAP at the Grass-roots (1976), Politics in An Administrative State: Where Has the Politics Gone? (1975), and Singapore: The Politics of Survival, 1965-1967 (1971). Sharon Siddique is an Adjunct Professorial Fellow at LKYCIC, and a director of Singapore-based Sreekumar.Siddique & Co., a regional research-consulting firm. Prior to this, she was a Senior Research Fellow and Deputy Director of the Institute of Southeast Asian Studies (ISEAS). A development sociologist by training, she has published extensively in various newspapers, magazines, and journals. Some of her most recent books include Asian Port Cities: Uniting Land and Water Worlds (2017), Batam – Whose Hinterland? The Influence of Politics on Development (with Sree Kumar, 2012), Singapore Shifting Boundaries: Social Change in the Early 21st Century (2011, co-edited), and Southeast Asia: The Diversity Dilemma (with Sree Kumar, 2008). Irna Nurlina Masron is a Research Associate at LKYCIC. She completed her Master and Bachelor of Social Sciences (Honours) in Political Science at the National University of Singapore (NUS), with a focus on comparative politics, migration, and state-society relations in Singapore and Japan. Her current research delves into urbanisation, internal migration, and state-society interaction in Indonesia. Dominic Cooray was a Research Assistant at LKYCIC from early 2015 to mid-2017. His academic training is in Political Theory and he completed his Master’s in Political Science at the National University of Singapore (NUS). Prior to joining the Centre, he lectured on the history of Western Political Thought at the Department of Political Science at NUS.